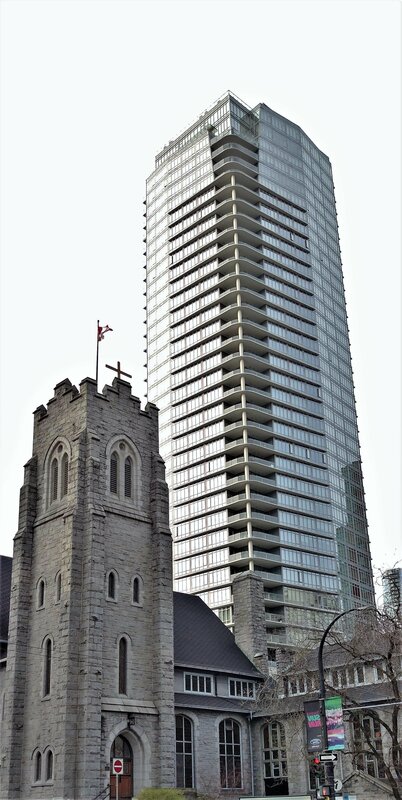 A sleek, luxurious 42 storey contemporary landmark building on Burrard Srreet. The Patina is the perfect marriage of lush landscaping, urban modernity and heritage. One is greeted with an impressive grand lobby with double height ceilings reminiscent of 5 star luxury hotels. The lobby is just one of the many things that shows the care and attention to detail Concert Properties has taken when developing the Patina and leads you into one of their many beautiful homes - whether it's a studio, the private collections or the penthouse collection. Central Downtown Location Perfect for work professionals who want to be a 10 minute walking distance away from the financial area. As soon as you step into a home at the Patina, you can instantly tell all the care and thought that has gone into this building. 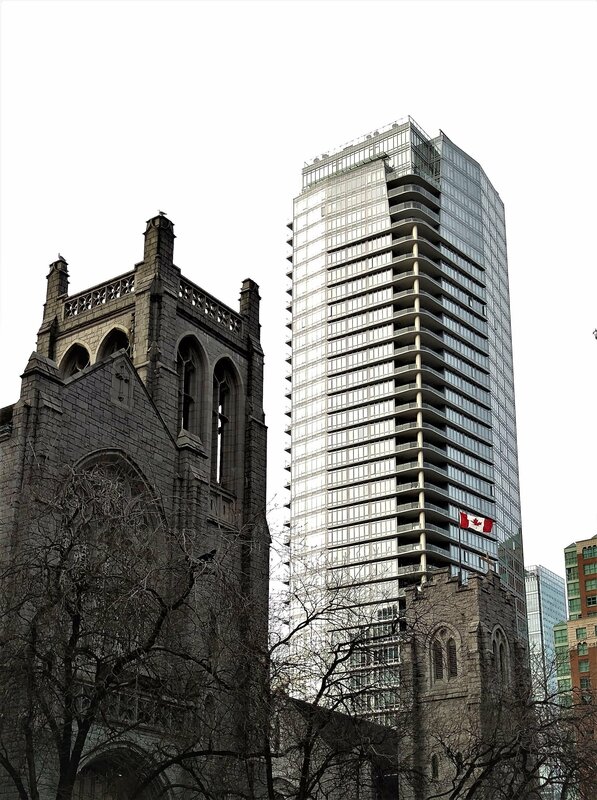 It’s definitely not your cookie cutter downtown condo. 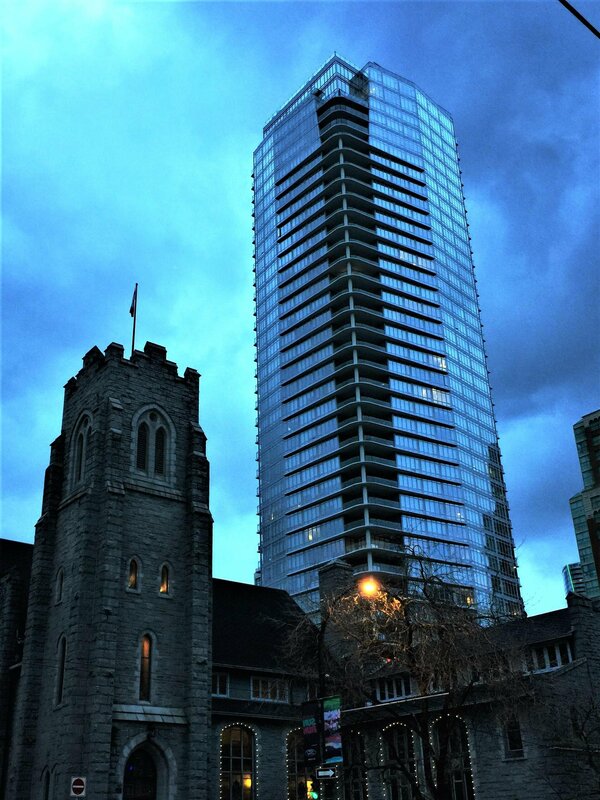 Rich History - In order to build 42 stories, Concert completed the Restoration of the 1941 YMCA which integrates nicely with the patina, which embraces the vintage tranquility of the westend yet maintains the vibrancy of the central downtown location. The higher units starting on the 25th Floor + offers UNOBSTRUCTED, PANORAMIC SWEEPING VIEWS of the Westend, magical English Bay sunsets & Fireworks, Northshore Moutains, Ocean Views and of course dramatic City Scapes. Interior finishings: Instead of the traditional hardwood or engineer flooring throughout, all the principle living areas feature large slates of Italian Porcelain tiles in understated tones of espresso, charcoal or cream. Listings Provided By: Coldwell Banker Prestige Realty, RE/MAX Crest Realty, Behroyan & Associates Real Estate Services, Team 3000 Realty Ltd., Sutton Group-West Coast Realty.